"Zentangle Basics: Anything is possible…one stroke at a time"
The Zentangle Method is an easy-to-learn, relaxing, and fun way to create beautiful images by drawing structured patterns. It is simple to understand and easy to enjoy – even if you are convinced you are not an artist. Almost anyone can use it to create beautiful images. It increases focus and creativity, provides artistic satisfaction along with an increased sense of personal well-being. At first glance, a Zentangle creation can seem intricate and complicated. But, when you learn how it is done, you realize how simple it is. Then, when you create a piece of Zentangle art, you realize how fun and engrossing the process itself is. All participants under the age of 16 need to be accompanied by an adult. "Tangled Gems ~ Zentangle Inspired Gems and Stones"
Learn the art of adding real color to your Zentangle art by creating beautiful Gems and Stones to enhance your tangles. You will learn how to blend colored pencils, make the gems shine and then add bezel’s around the gem to give it the perfect setting. Then add strings and tangles! Previous Zentangle experience required. Bring your Micron 01 pen, pencil and tortillion from your original kit. All participants under the age of 16 need to be accompanied by an adult. Drawing is the cornerstone of all representational work, the basis for painting, and an end in itself. To paraphrase Paul Klee, “a line is a dot undertaking a journey”; a joyous and wonderous idea, yet for so many drawing is an unimaginative and inexpressive process. In this workshop, Mat will share his philosophy and approach to drawing as a rich art form and great aid in establishing lively, representational paintings. The first half of the workshop will be spent going over perspective in participatory and intuitive exercises that will help you over the “I don’t get it” hump and gain confidence. While the second half of the workshop will encourage you to develop a more expressive voice. Most drawing classes focus on making a beautiful drawing. 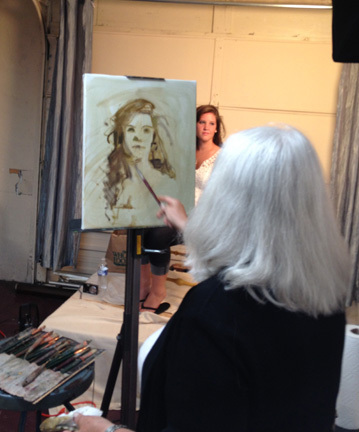 This class is designed for painters and is structured to address the specific drawing skills needed for painting. Students will be shown techniques of seeing proportion, angles, relative size and edge. The emphasis will be on helping each student find an approach to drawing that will be most effective for them. This course focuses on "painting from a point", using a variety of pencils and surfaces to create dynamic paintings. Products used include: watercolor pencils, waxy/oily colored pencils, and crayon-like wax pastels. Surfaces include papers, boards, even sanded papers. Featuring an abundance of free colored pencils and art materials, this workshop is full to the brim with demonstrations and techniques that are sure to increase your repertoire. Some drawing experience preferred. Kristy Kutch is an experienced workshop instructor who is the author of Drawing and Painting with Colored Pencil, The New Colored Pencil, and is the featured artist on 4 instructional DVDs. Grand Marais, Minnesota is an unspoiled Lake Superior gem. It has attracted artists for more than 70 years. Sketching is as much about training the eye to see, as making a mark on the page. Delve into quick – rough and finished – sketching, while learning to draw at any time and in any place. Working in black and white, as well as colored media, this workshop will prepare you to keep a sketchbook on-the-go; whether that “go” is Fish Creek, London, Paris, or your favorite coffee shop. This workshop includes demonstrations and group exercises with plenty of individualized attention and drawing time. Appropriate for all skill levels. Demonstrations will be geared toward beginning students, while one-on-one discussions will be tailored to enhance intermediate and advanced students’ skills. The objective of this workshop is to strengthen your drawing skills through an understanding of the classical fundamentals. Learn to make convincing, sensitive drawings that are true to life through a coherent, analytical approach to drawing. Using an easy-to-understand step-by-step process, you will discover a number of foundational principles that will help you to interpret and then express the visual experience. Philip will give demonstrations, as well as personal instruction and feedback to guide you through each stage of the process. Topics to be covered will include proportions, measuring, perspective, value structure, light phenomena, edge manipulation, and composition. More fun and unique ways to create with Zentangle. First we will use black tiles with white pens, chalk pencils and tortillions as well as learn more new tangles. Then, we will expand to tan tiles, black, white and brown pens, black and white pencils to create a Renaissance looking tile. Previous Zentangle experience required. Bring your Micron 01 pen, pencil and tortillion from your original kit. All participants under the age of 16 need to be accompanied by an adult. "Hand Lettering for Chalkboards and More"
Lettering is a form of voice … a way of expression. Let it speak the things you want to say. In general, most people see words and read sentences to derive meaning. In art, we see beautiful shapes and curves with forms of beauty. It's helpful to become familiar with the anatomy of a letter. In this workshop, you will take a close look at fonts including script or cursive, serif and sans serif styles and learn how to create messages in color and also on chalkboards. Hand lettering is all about drawing! Create the letters to say what you want! 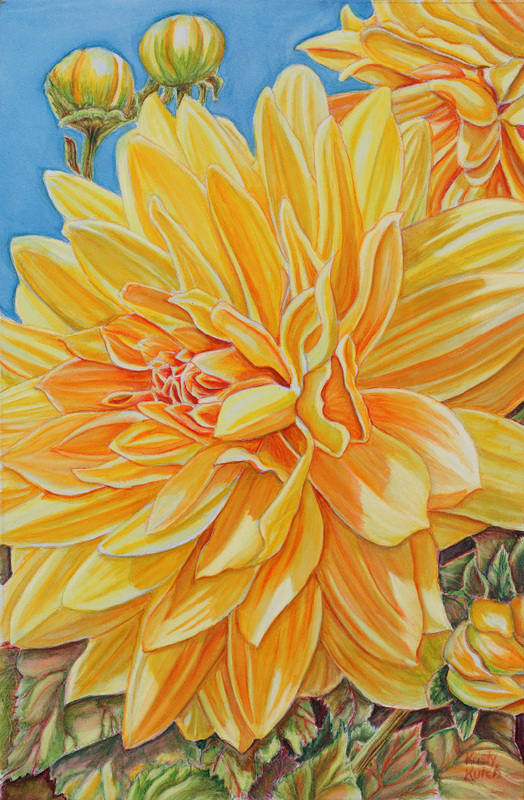 "Colored Pencil: Delicate to Dynamic"
Sharpen your colored pencils for workshop fun in Lake Geneva, Wisconsin- post-summer rush but still during the mild September weather. Kristy Kutch, a supportive teacher, is the author of Drawing and Painting with Colored Pencil and The New Colored Pencil; she is also featured in 4 instructional DVDs. Included are many aspects of this medium and its compatible surfaces. Create effects ranging from soft, transparent, and aqueous to dense and dramatic. Harbor Shores Hotel, located on Geneva Lake, offers fantastic student discounts. Guests receive continental breakfasts and rooms featuring mini-fridges and microwaves. (Lodging reservations should be made separately: 888-746-7371. Mention this workshop for discount.) Bring an extra tote bag for samples; plan for this memorable fall workshop! Explore the ideas and techniques of the great masters of draftsmanship in this basic drawing workshop. Essential to all aspects of image making, this workshop will help artists of all backgrounds build confidence and skill. Working from still life setups and old master drawings, you will learn how to use line, value, texture, shape, and more to complete drawings that are accurate and creative. Additionally, Emmett will share methods to help you work from memory; especially beneficial for those who want to improve their sketchbook and journal drawing. This workshop is open to artists of all levels and backgrounds. 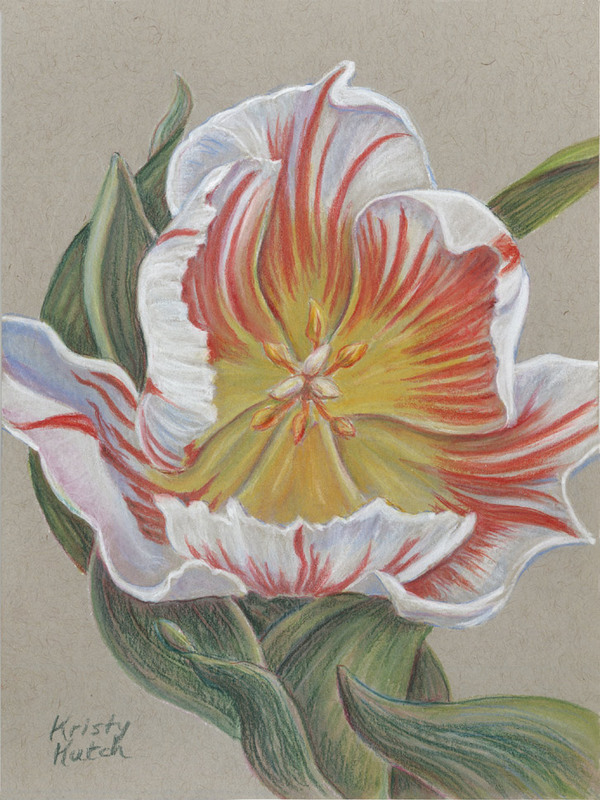 "Colored Pencil: Drama on Dark Paper"
Whether a novice or veteran in colored pencil, discover and gain proficiency in a new layering technique that allows you to capture drama and detail beyond what you thought possible of the medium. The workshop will begin by examining the work of contemporary colored pencil artists. Following, you will experiment with various stroke applications, produce a color match strip, which can be used as a reference for all future works, and design and begin a final composition. Rhonda will provide feedback throughout the process. Leave this workshop feeling confident in the ability to complete your work with excellence. If you have always wanted to learn to draw, or feel your drawing skills are rusty or inadequate, this workshop will help you gain confidence in rendering a variety of subject matter in a realistic way. By learning to tap into your intuitive right brain you will dramatically improve perception and technical skills as you explore the process of drawing. Mynn will lead you through a series of simple exercises that are fun, easy, and meditative in nature, resulting in a remarkable development of skills. This workshop is designed for the absolute beginner, as well as those working in other media interested in honing their drawing skills. Try new approaches to drawing in a relaxed and supportive setting. Discover the "pointed potential" of colored pencil! Kristy Kutch, author of Drawing and Painting with Colored Pencil, The New Colored Pencil, and the featured artist in 4 instructional DVDs, has taught colored pencil workshops nationwide. She provides an informative and enjoyable classroom atmosphere. Both "traditional" (waxy) and watercolor pencils will be included, with fascinating "painterly" techniques for both types of pencils. Water soluble wax pastels (which resemble larger crayons) will also be featured. Explore a wide range of compatible papers and boards which lend themselves beautifully to this dynamic medium. There will be demonstrations, individual attention, many materials to sample, and a generous cache of take-home supplies for each student. Enjoy an unforgettable workshop in a top-notch studio atmosphere! "Drawing for Dummies: Graduate Seminar"
Refresh and explore the skills you learned in Mynn’s Drawing for Dummies workshop (Oct 7-10), and then apply them to produce more finished works of art. Engage in an intensive experience to explore the process of taking a piece from conception to completion. Before demonstrating more advanced techniques, Mynn will review basic concepts from the introductory workshop. Take your drawing skills to the next level through individualized coaching and critiques. Working from your own selected photographs, you can expect to complete one or more finished drawings. Leave this workshop with newly gained knowledge and confidence. Students are required to have completed the beginning Drawing for Dummies workshop. "Wet or Dry? The Amazing Range of the Colored Pencil"
Explore colored pencil potential- both traditional (non-watercolor) and watercolor pencils. Kristy Kutch, author of Drawing and Painting with Colored Pencil and The New Colored Pencil, is also featured in four instructional DVDs. She brings a wealth of experience and a friendly, supportive attitude that bolsters everyone- beginner to veteran. Kristy guides students through many techniques, with frequent demonstrations and access to large demonstrator sets of pencils. Come prepared to take home plenty of samples and goodies! This workshop will be held in a peaceful country studio setting with a small group (maximum 12). Students wishing to stay on-site, inquire about lodging at the nearby retreat center. Lunches are included in the price of the workshop. Visit website.